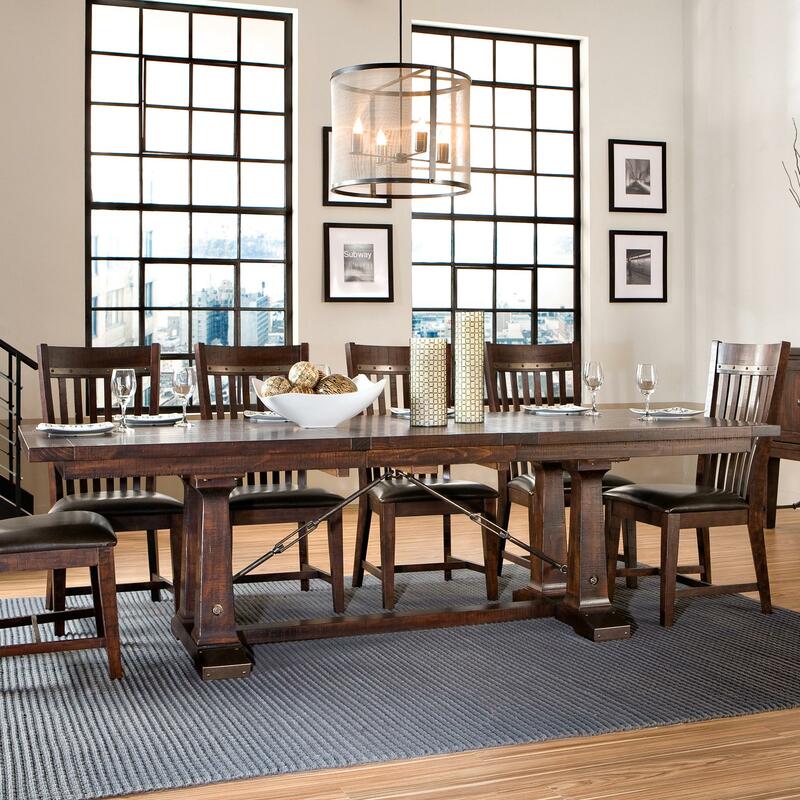 Add a beautiful centerpiece to your dining space with the Hayden Trestle Dining Table. Crafted from pine solids and pine veneer, it features a durable, high-quality lacquer finish in a rich, raisin brown. Unique hand distressing adds an aged look to the piece. 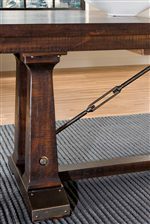 Metal table slides allow for easy opening and closing of this trestle table. A 20-inch leaf is also included allowing you to extend this table to larger sizes for guests. Pairs perfectly with the Hayden Slat Back Dining Chairs. The Hayden Trestle Dining Table with Metal Table Slides by Intercon at Fisher Home Furnishings in the Logan, Bear Lake, Cache Valley, Ogden, Salt Lake City, Utah area. Product availability may vary. Contact us for the most current availability on this product. HY-TA-42100-RSE-TOP Top with Leaf 1 42" 80"
HY-TA-42100-RSE-BSE Trestle Base 1 42" 30"
Leaves One 20" self-storing leaf extends table from 80" to 100". 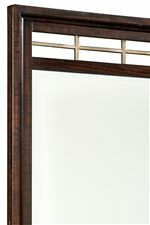 Finish Features a durable, high-quality lacquer finish in a raisin brown. Handles & Hardware Features brushed metal knobs. 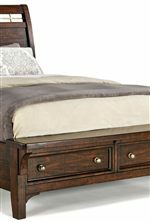 Crafted from pine solids and veneers, the Hayden dining and bedroom collection is a beautiful grouping to complete your home. 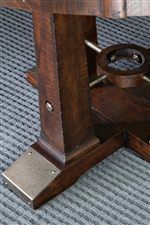 It features a durable, high-quality lacquer finish in a raisin brown that includes unique hand distressing with rough-sawn finish accents. Including an assortment of dining, seating, and storage options, Hayden is full of little details to impress, including a storage leaf, metal kick plates, footrests, and even adjustable shelving! Complete with comfortable cushions on seating and a unique turnbuckle design, the Hayden collection makes it easy to fashion a functional and visually appealing home space. 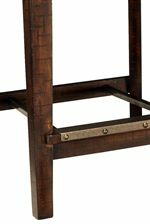 The Hayden collection is a great option if you are looking for Transitional furniture in the Logan, Bear Lake, Cache Valley, Ogden, Salt Lake City, Utah area. 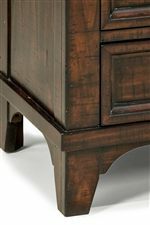 Browse other items in the Hayden collection from Fisher Home Furnishings in the Logan, Bear Lake, Cache Valley, Ogden, Salt Lake City, Utah area.